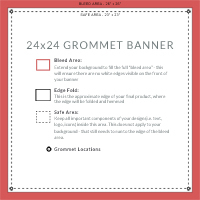 Use these templates when creating your own unique designs for our vinyl grommet banners. 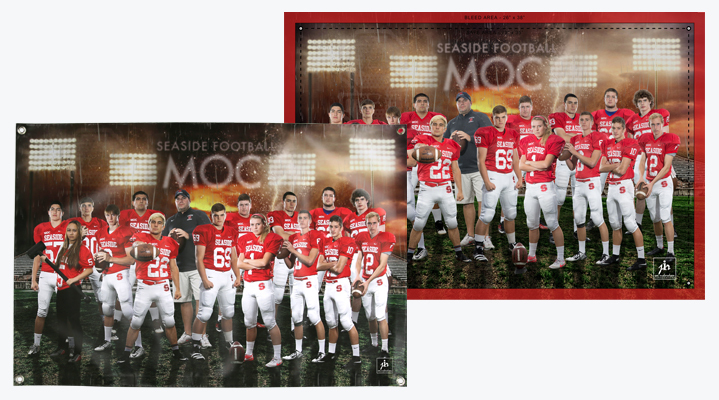 They include the bleed, edge fold, “safe area” zones, and grommet locations along with instructions. For assistance, please contact Customer Service. **Banners should be saved at 200 DPI.